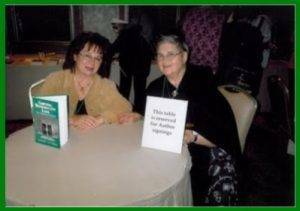 Co-founders of the Centre for Reproductive Loss and co-authors of the book Grieving Reproductive Loss: The Healing Process, Kathleen Gray (left) and Anne Lassance (right). Founded in 1992, by healthcare professionals, the Centre for Reproductive Loss is a non-profit charitable organization, located in Montreal, Quebec, Canada. It was established in order to respond compassionately to the emotional, spiritual, and psychological distress of individuals and families affected by such loss as miscarriage, stillbirth, abortion, adoption, infertility, and sterility. The Centre is a non-denominational organization that offers services to bereaved individuals, family members, friends, and healthcare professionals, including counselling, training programs, and seminars. Recently, the Centre for Reproductive Loss began the RHO Project, which is an educational outreach to young people on fertility awareness, helping to educate them on choices they may make, which can affect their fertility.